I doubt anyone will get the joke, but it made my friends laugh. 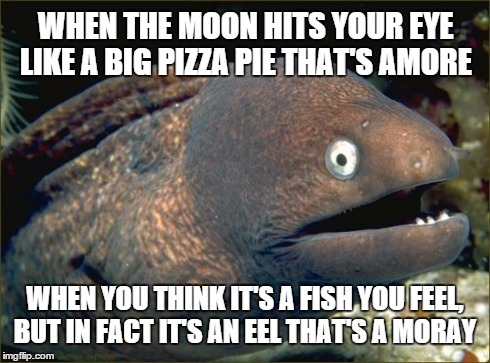 When the moon hits your eye like a big pizza pie, it hurts. I got it on the first read - very clever! somebody gonna explain this or no? 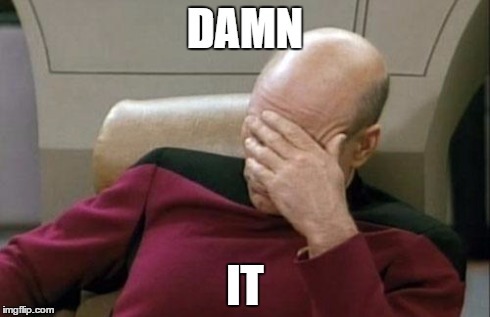 srsly wtf does this mean and how are u understanding this? it's lyrics to a old song from the movie 'lady and the tramp'. 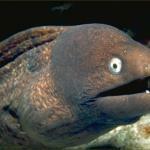 ''Amore'' is the Italian word for love and ''Moray'' is a species of eel. I got it on the first read - very clever! hooray, your friends aren't smarter than me!